Norman White, pictured here in 2014, dedicated his life to changing the way people viewed children "immersed in risk." Saint Louis University criminal justice professor and Ferguson activist Norman White died suddenly of a heart attack on Wednesday. He was 64. He and his wife Elizabeth “Liz” White were getting ready to leave their Belleville home for an evening rehearsal of a Christmas play they were performing in when he had the attack and died soon afterwards. White, a New York native, called himself a “developmental criminologist,” and he spent his life working to change the way people viewed and treated children who are “immersed in risk,” as he phrased it. White had been doing extensive work within the St. Louis Public School District to decrease school suspensions and implement trauma-informed teaching initiatives within classrooms. He was honored for this important work at the St. Louis American Foundation’s 2017 Salute to Excellence in Health Care this past spring. Norm was also supposed to attend a ceremony the morning after he died, where he would have received a leadership award from the Incarnate Word Foundation. 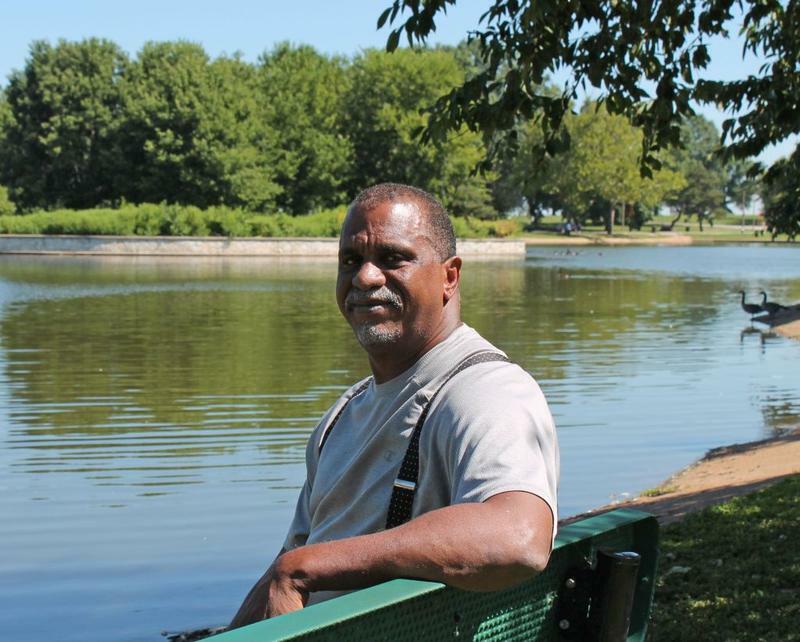 “He was a quiet giant in our community for change,” said Jimmie Edwards, formerly a juvenile court judge and now the director of public safety for the City of St. Louis. White started at SLU in July 2004 and was an associate professor in the Department of Criminology and Criminal Justice. He also had served as associate dean for community engagement and partnership for the College of Public Health and Social Justice. White kept a large, spray-painted sign in his office that stated, “Safe Space,” which he used on campus during the Ferguson protests. He also participated in Ferguson protests. Many SLU students and colleagues are mourning his loss. Jonathan Smith, vice president for diversity and community engagement, was a groomsman in Norm’s recent wedding. 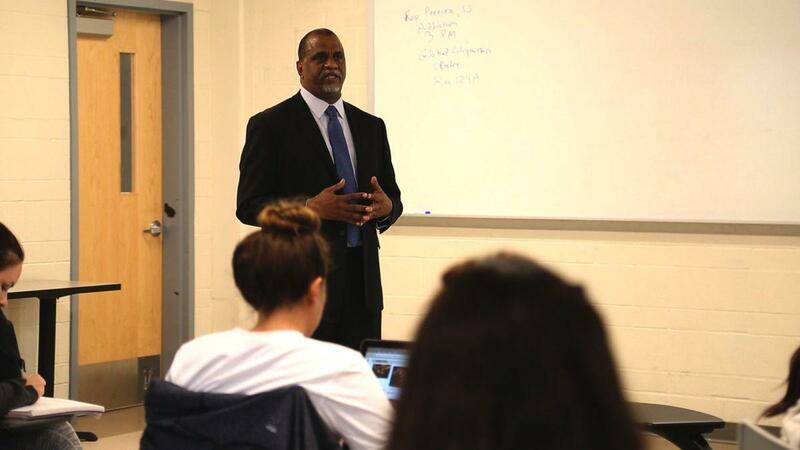 White earned his master’s degree and doctorate in criminal justice from the State University of New York at Albany in 1997 and 2001, respectively. He earned his bachelor’s in history from Marist College in 1981. In addition to teaching criminal justice at SLU, White was active in the protests in Ferguson in 2014. White grew up in the public housing in upper Manhattan. Attorney Nina McDonnell, his mentee and close friend, said it was important to Norm that people knew that. White served as an expert witness in two juvenile criminal cases to prevent the youth from being tried as adults. One was a death penalty case. McDonnell served as his research partner in the cases, and they had planned to work on other cases. In his sworn testimony, he spoke about his unique theory of risk immersion. White’s goal as an expert witness was to help the individuals on trial and also set precedents that other courts could rely on, she said. Norm and Liz White were married on July 8 at the Piper Palm House in Tower Grove Park. Liz White said they met 10 years ago, singing in the Community Gospel Choir in Kirkwood. They were among the founding members of the group, whose mission is racial harmony. Liz White has been performing in the “Christmas Carol” with the Looking Glass Theatre Groupin Lebanon, Illinois for more than 20 years, and this was going to be her husband’s first year performing in the show as well. He was cast as one of the gentlemen and would also have been singing with his wife. They were preparing to leave for a rehearsal when White experienced the heart attack. Liz White said he was someone who loved nature, and that’s why he moved to Belleville. “Nature centered him and brought him peace,” Liz said. In his Belleville home, he liked to watch birds in his backyard and would post videos of hawks. His sister, Marvina White, said his younger brother enjoyed nature from boyhood. They were raised in the projects, but — unusual for urban public housing — they were surrounded by parkland between the Hudson and Harlem rivers. In the fall of 2014, White received a grant to help train teachers and principals at seven elementary St. Louis Public Schools on how race impacts the kind of trauma that their students experience. Through that work, the schools have been able to decrease the number of suspensions and implement more “restorative practices” in place of sending students home. In February 2015, the University of California, Los Angeles released a study that found Missouri leads the nation in suspensions of African-American elementary students. It also found that Missouri ranked first for having the largest gap in how its elementary schools suspend black students compared to white students — and it was fourth in the nation at the high-school level. Following the UCLA report in 2015, more foundations made donations to further White’s work in the schools. And in 2016, the Missouri Foundation for Health gave his team funding to extend the work for three more years. The work of Norm and his team touched about 2,500 students. These children live through challenges that “no adult should have to experience,” he said. If we understand this, then we are better equipped to meet the children where they are, “instead of assuming solutions that are not based in any reality,” he said. Kelvin Adams, SLPS superintendent, said Norm’s work will live on in the school district. White was also the principal investigator for the Shut it Down: Closing the School to Prison Pipeline project, funded by a consortium of St. Louis philanthropic foundations. Shut it Down represents a partnership with the family court, public schools and other stakeholders to assist school personnel in altering school culture to support improvements in overall student performance. Working with student volunteers he also developed the Overground Railroad for Literacy, a tutorial program in local afterschool programs to improve student academic performance. In his March interview, The American asked him what he would like people to understand about his work. During his response, he became impassioned and began to cry. One of “his kids” had been killed that week, he said, and he had been mourning the child’s death for days. White said that people need to stop blaming schools for failure. In addition to his wife and sister, survivors include his mother Elizabeth “Betty” White; sons, Patrick and Michael; and his brother, William Riley.